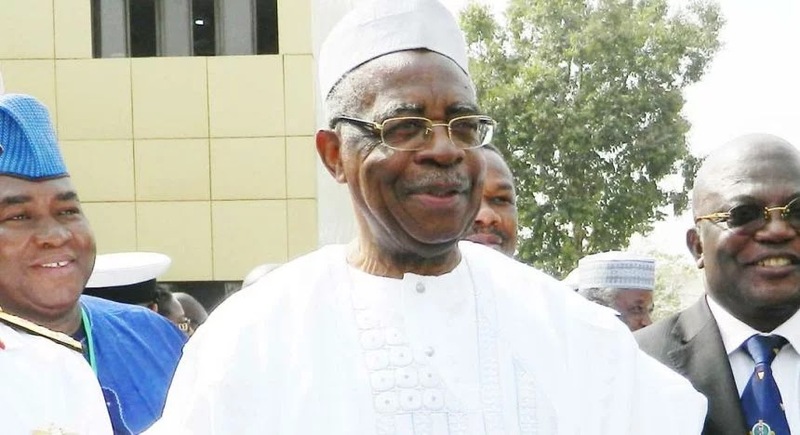 The National Christian Elders Forum (NCEF) on Wednesday saluted what it called the courageous and timely intervention of Gen. T. Y. Danjuma, who had called on Nigerians to defend themselves against the complicity of security forces and Islamist terrorists in the country. In a statement titled: ‘Gen. T. Y. Danjuma: Self Defense Is Legal’, the forum stated that the, “Public statement is finally putting a seal on the long known conspiracy between the Islamists in the current Federal Administration and Islamist insurgents in the country”. The statement made available to DAILY NEWS averred that the NCEF, had repeatedly decried the concentration of the entire security infrastructure in Nigeria in the hands of Muslims from the North. “All the key positions in Ministry of Defense, Ministry of Interior, State Security Services, Police, Customs, Immigration, Office of National Security Adviser, Army, Civil Defense, Prisons, are held by Muslims from the North. This is a total violation of the Constitution of which the Buhari Administration should be totally condemned and thoroughly rebuked. “The NCEF stands with Gen. Danjuma and the Christian Elders support him totally that Nigerians should make adequate arrangements to defend themselves since it is clear that the security services have become tools of Islamists in the promotion of Sharia Ideology over and above Democracy which is the authentic ideology of Nigeria. 52-Year-old Civil Servant Exposes How She Lowered her Blood Pressure & Reversed Hypertension in 3 weeks without Prescription Drugs! “This conflict between Sharia and Democracy was smuggled into the 1999 Constitution making Nigeria the only country in the world with dual conflicting ideologies. Nigerians must begin to question the insertion of Sharia into the 1999 Constitution and demand a Constitution in which Democracy is the only National Ideology. All the current distress in the country is traceable to the dual ideologies in the 1999 Constitution. “Nowhere is the unconscionable intolerance and narrow mindedness of Sharia proponents manifested as in the abduction of innocent children on account of their faith. “While the nation is still nursing the wounds of the abduction of Chibok girls, the Islamists abducted another set of school girls in Dapchi and released over 100 of them who professed Islam as their religion and retained in captivity Leah Sharibu on account of her Christian faith. “The 15 years old, Leah Sharibu, the only girl among the Dapchi girls still in custody of the Islamist terrorists due to her retaining her Christian faith represents Nigerian’s very own Rosa Park. “She is still in detention for proclaiming Christ and she is telling Christians that it is hard to be a follower of Christ; that she should not be alone; that she is suffering like Christ to remind all Christians that Christ suffered for one Church of Christ, so that humanity can have life more abundantly; and that Christians in Nigeria should be one in the Spirit of Christ. “In the circumstance every Nigerian has a moral duty to pray and press for her release from the promoters of Jihad and intolerance. “The National Christian Elders Forum insists that there is a moral burden on President Buhari to ensure that Leah Sharibu is delivered from her abductors alive and well. “The continued abduction of Leah Sharibu, on account of her Christian faith, after all the other girls have been released because they are Muslims, further underscores the grave danger that Sharia ideology poses to the Nigerian state. “Nigerians should bear in mind that the country was given Independence with the Founding Fathers agreeing that Democracy shall be the National Ideology. “The Founding Fathers of Nigeria agreed that for a multi- cultural, multi-religious, and multi-ethnic society, an all inclusive ideology that would guarantee Justice, Equity, and Fairness would be required. “Democracy was adopted as the National Ideology to provide equity, freedom and liberty for all. Democracy is in sharp contrast to Sharia which is discriminatory on religious grounds and highly intolerant of other beliefs or culture. “With the Military incursion into governance, Islamists of northern Nigeria worked through the various Muslim Military Dictators to progressively compromise the secularity of the Nigerian State culminating in the 1999 Constitution which is a Military imposition on the country. “With the overthrow of General Gowon in 1975, the Islamists launched stealth Jihad in Nigeria and the nation is witnessing the combination of stealth and violent Jihad geared to transform Nigeria into an Islamic Sultanate. “The NCEF has stated repeatedly that it is not possible for three ethnic nationalities (Fulani, Hausa and Kanuri) to imagine that they could impose their religion, culture and political leadership on the remaining 386 ethnic nationalities in the same country. “For a very reserved and conciliatory Elder statesman like Gen. Danjuma to speak in the way that he did, it should be clear to all discerning persons that the situation is hitting a boiling point. There is still time for sanity to prevail. “The NCEF is also amazed at the impudence of the Sharia Council represented by Yusuf Rigachikun, and Abdulrahman Hassan who called for the prosecution of Gen. Danjuma. It is very unfortunate the lawlessness and impunity which Islamists have introduced into the Nigerian State. “The Christian Elders wonder how any man of good conscience and good will could condemn a call for people to defend themselves yet, would not condemn the aggressors who kill, maim and destroy lives at will all over the country. “The Sharia Council might have been taken seriously if it had called for the prosecution of the following people, just to mention a few. “Garus Gololo the leader of Miyetti Allah Cattle Breeders Association in Benue state who on 4th January, 2018 told BBC that the New Year genocide in Benue State was a reprisal attack for the theft of cows. Usman Ngelzerma who on 12th January, 2018 said Fulani herdsmen attacked Guma and Logo because the herdsmen were fined by livestock guards. Bello Bodejo, the National President of Miyetti Allah Cattle Breeders Association who said the cause of the attacks on Benue State was because the State enacted Anti-Open Grazing law. “He said Governor Ishaku also wrote President Muhammadu Buhari on January 26, 2016 to complain about threat to peace and security in Taraba State. “In that letter signed by Governor Ishaku himself, he lamented the devastating effects of internal conflicts involving the Fulani and Tiv, which led to the sacking of 200 settlements in the Gassol, Bali, Ibi, Donga and Gashaka local government areas by herdsmen. “The governor informed the presidency about the concerns raised by some traditional rulers in the state concerning the influx of Fulani militia and about the attacks on their communities. “Letters of complaints from the traditional rulers whose communities suffered from these attacks were also attached and forwarded to the Presidency”. “Copies of this letter were sent to the National Security Adviser, Chief of Staff to the President and the Inspector-General of Police,” he said. “The widely publicized report on social media and which was investigated and confirmed to the effect that a chopper dropped arms in a village near Wukari was downplayed by the security agencies. “Despite efforts by the Taraba State Government to get the military to act, they never did. Since then, the arms and ammunition brought into the state have been used against the people in various communities in the state by the herdsmen. “The present Operation Ayem Akpatuma in the state has also been discriminatory. While cutlasses and knives have been taken away from the people, the herdsmen have been left with AK-47 rifles. Through these various acts of deliberate mischief on the part of the military, thousands of people have been killed and a lot more may be killed unless the military turns a new leaf. “In view of the foregoing, the unfortunate statement by the Sharia Council is an open indication that the current genocide going on in Nigeria is deliberate, intentional, and Government complicit. “Those who condemn residents for securing their houses yet do not condemn the thieves raiding them are undoubtedly the thieves. These are very worrisome signals in a Federation that is grossly divided and wobbling economically due to mismanagement. It suggested that the federal government should “commence the implementation of the 2014 National Conference, Set up a Truth and Reconciliation Commission as the basis of providing healing, reconciliation and forgiveness in Nigeria, Set up machineries to develop a new Constitution for Nigeria based on Democracy as the only National Ideology. “As an immediate step, a return to the 1963 Republican Constitution which was the Constitution negotiated by the Founding Fathers of Nigeria should be considered. “However, if the Buhari Administration fails to take immediate corrective measures to stabilize Nigeria and restore justice, equity and fairness, particularly to stop the reckless murder of Nigerians by Islamist insurgents, then all Nigerians must prepare to embark on civil disobedience and “shut down” the country. “Nigeria belongs to all citizens and it is the highest act of treachery, betrayal and treason for elected officials to use the instrument of government to promote sectional interests at the cost of the lives of other citizens.” “As Elders, we witnessed Nigeria pre and post independence. What we are seeing presently, is a nightmare compared to the glorious dreams of the Founding Fathers on 1st October 1960. “During the Colonial era, Traditionalists, Christians and Muslims all lived in peace and harmony. It is disturbing that after independence, Nigerians are unable to live together in peace. We do not want to believe that the British should be invited to come back and rule us. “We can solve this problem but the Islamists in northern Nigeria must be persuaded to back down from this foolish and lives costly adventure that they have embarked upon.